Oral-B Genius 8000 Electric Toothbrush incl. 3 Brush Head Refills & Travel Case is rated 4.6 out of 5 by 55. Rated 5 out of 5 by Jackie27 from Great toothbrush. I bought this a month ago to replace a two head toothbrush. Am I happy. Rated 5 out of 5 by Just D from Over exceeds all expectations I've bought a few much cheaper electric toothbrushes in the past, they did the job, but it never really felt like they had anything exceptional to them. I can most definitely say this has changed now after purchasing this product. Just after opening the box, I spent an hour laying on the floor to just read carefully over all of the features this electric toothbrush includes. The fact that it is designed to work with your smart phone and the app itself is pure genius. Which I guess is where the name comes from. Despite there only being about four different modes on the toothbrush, in combination with the app and how it changes and maps your brushing habits and routines, I cannot see how anyone wouldn't want to pay the bit extra for something so technologically adept for our era. I have relatively stained teeth from being a smoker for the past 9 years and drinking coffee like it was water when I was younger. In less than two weeks, this toothbrush, along with other Oral-B products, has almost eliminated those problems in their entirety. Overall, I have to give this the best rating I can, including the fact that Shaver Shop delivered it the day after buying it. Rated 5 out of 5 by Steve from Fantastic product I received this product as an unexpected birthday present. Very happy, I actually look forward to using this toothbrush everyday. 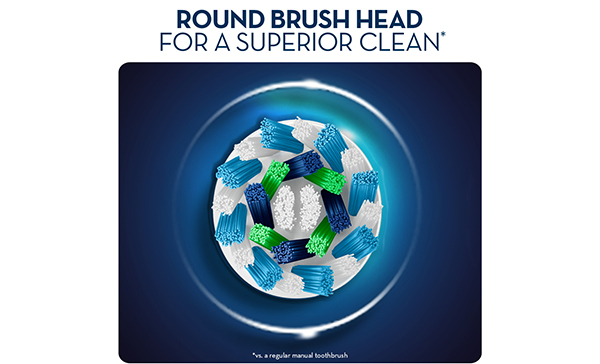 Cleans brilliantly, I feel like my teeth are getting cleaner and brighter every day. Have told my wife she should buy the same product. Is the travel case in the 8000 model a charger as well? No, it is just a secure carry case for the body and two brush heads. However, I have been away for 7 days and it lasted without needing to be charged until I got home. I have dropped and broken my Genius 9000 unit. Am I able to just buy a new handset? If so, how much would it be? Is the charger suitable for multivoltage. We are traveling to the USA soon and our existing units will not work on 110v. I would like to order Oral B electric toothbrush 8000 x2 (single handle). &nbsp;This is unavailable online and I have contacted my local store who has checked that there is none available in all of Perth stores. &nbsp;Please tell me when they will be back in stock. When will this product come back into stock? How Can I buy one? There are none instore and I cant add them to my cart on the website?